"Great place to buy a car! Really nice guy. We love our new car"! 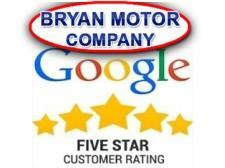 "My last 4 vehicles have come from Bryan Motor Company". "They answered promptly and we're helpful"! "Friendly people and really treated my mom right.... your kindness and honesty goes a long way and we will definitely be suggesting you to anyone we know that needs a vehicle.... y'all are awesome"! "Pat is so easy to work with. 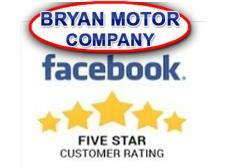 I've bought several cars from him and he has always been very up front and truthful about them". 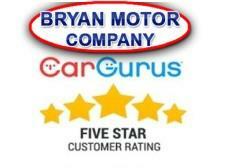 "Vehicle was already under contract but salesman was very polite and helpful"!